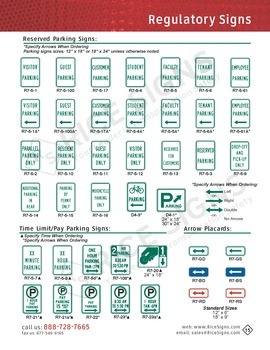 Buy parking signs, handicap signs, and other parking lot signage here. Parking signs are typically used in parking lots to show motorists where parking is permitted and restricted. Green and white reflective parking signs are commonly used to reserve parking spots, while red and white reflective parking signs most often designate parking prohibitions. 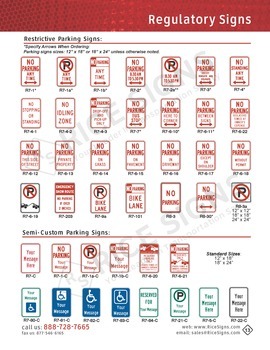 The common sizes for parking signs are 12"x18" and 18"x24", but custom sizes are available upon request. 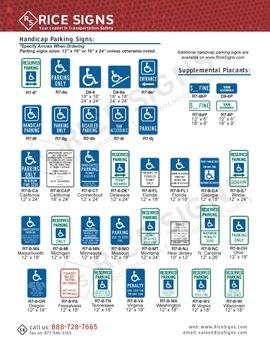 Buy handicap parking signs, including reserved handicap parking, accessible parking signs, and van accessible handicap parking signs. Shop for no parking signs, parking restriction signs, and no parking tow-away signs. 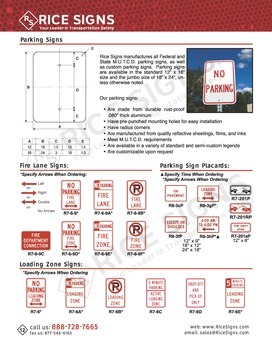 We have no parking fire lane signs in stock for rapid shipment.